Browse: Home / Cuba / Why Cuba? Why Now? What lies beneath the surface of normalized relations and what the future may hold for U.S.-Cuban relations. Since President Obama last December announced his intent to normalize relations with Cuba, something of a frenzy has emerged. Especially in Florida. There is talk of economic opportunity, of trade ventures, of potential riches for American businesses. It’s as if the mere opening of an embassy can simultaneously erase 50 years of animosity, magically transform the Cuban economy and instantaneously lift up the Cuban people. The reality is that the same regime that the United States vilified when it broke relations with Cuba on Jan. 3, 1961, remains in power today. The system of government is unchanged and the economy is still tightly controlled by the state. I had a master’s degree in biochemistry and I was willing to jump in the water. And our experience in trying to secure interviews with government officials mirrors that of a totalitarian regime that controls all facets of the country and its information. Just recently, a sticking point in the fourth round of negotiations with U.S. and Cuba was the issue of accessibility at our future embassy in Havana. 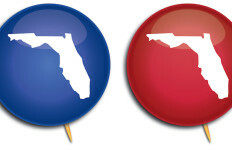 Our publication’s focus is on economic development and we started this process hopeful that we could write an in-depth cover story on the opportunities with Florida-based businesses and what a future with normalized relations would look like. After months of communication with the Cuban Interests Section directly and through an embassy in Washington, we were back to where we started. Initially the feedback was positive, but ultimately there was just silence. FORWARD Florida would not visit Havana without scheduled interviews with government officials; we even said it could be officials at any level. But on the record. Aguilera’s comment is a clear reminder that in looking to the future we must take a sober look at the present and also understand fully the historic journey that brought us to this moment. The United States and Cuba have had a difficult history from the moment a mysterious explosion sank the USS Maine in Havana harbor on Feb. 15, 1898, touching off the Spanish-American War. The three-and-a-half month conflict resulted in the U.S. “liberating” Cuba (along with Puerto Rico, the Philippines and Guam) from Spain. Cuba gained independence in 1902, though the U.S. reoccupied the island after disputed elections in 1906 and administered it again for three years. American influence continued to grow even after the Cuban government was restored, and the island became a significant destination for American investment and tourists. The modern chapter really begins in 1952 when Fulgencio Batista — a man who helped overthrow a dictatorship in 1933 and who was democratically elected president as a progressive reformer in the 1940s — returned to power after staging a coup and established a repressive right-wing dictatorship himself. Batista established close ties with U.S. businesses and, by all accounts, the American Mafia. Those who were not part of the ruling elite chafed under his regime, allowing Fidel Castro and Ernesto “Che” Guevara to launch the revolution that led to Batista’s ouster on Jan. 1, 1959. 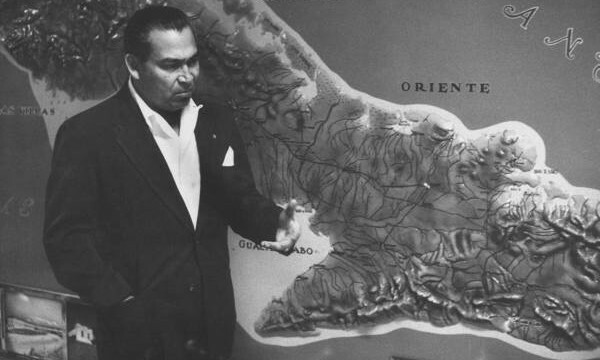 Cuban dictator Fulgencio Batista in March 1957, standing next to a map of the Sierra Maestra mountains where Fidel Castro’s rebels were held up. President Dwight Eisenhower’s administration had grown weary of Batista’s repression and corruption, withdrew support for the dictator shortly before his fall and immediately recognized the Castro government when it seized power. However, as Cuba began to nationalize U.S. businesses on the island and develop close ties with the Soviet Union, it became clear that Castro was establishing a Marxist-Leninist government. On Jan. 3, 1961 — 17 days before leaving office — Eisenhower severed diplomatic relations with Cuba. A few months later, President John Kennedy gave the green light to the Eisenhower-conceived Bay of Pigs invasion designed to overthrow Castro. Cuban troops routed the invaders in short order, and 50 years of enmity ensued. For more than two weeks in 1962, Cuba, the U.S. and the Soviet Union held the fate of the world in their hands during the missile crisis, arguably the moment when the planet came closest to full-scale nuclear war. From the end of the crisis until last Dec. 17, U.S.-Cuban relations have been marked by increasingly strict American restrictions on business with Cuba and a few brief moments of fleeting rapprochement. At the center of it all then, and today, stands Communist ideologue Fidel Castro. 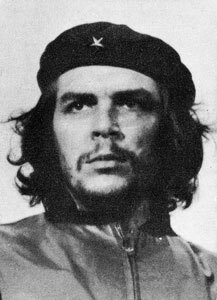 Castro’s co-founder of the Cuban revolution, Guevara, was an Argentinian who was killed in Bolivia by the army in 1967 when he tried to overthrow its government and replace it with a communist state. His image is evident throughout the island and he enjoys close to rock star status. Yet, he is responsible for a number of assassinations and one who did not mince his words. Ernesto “Che” Guevara, co-founder of the Cuban revolution in 1960, age 31. Photo: The Cuban Heritage Collection, University of Miami Libraries, Coral Gables, Florida. According to Guevara, he would have been happy to see any number of people die, as long as he could institute socialism. “If the nuclear missiles had remained [in Cuba] we would have fired them against the heart of the U.S., including New York City. The victory of socialism is well worth millions of atomic victims.” This is particularly chilling in light of the events of 9/11. He is responsible for meting out revolutionary justice following the Cuban revolution, with the number of executions he committed ranging so widely as to be unreportable. Many in favor of lifting the embargo and trading with Cuba think this will loosen the political chains for the people of the island. But it is naïve to think that after 56 years of iron-fisted control, the next generation of Cuban leaders will not share the same ideology of Fidel and Raúl Castro. “I was not chosen to be president to restore capitalism to Cuba. I was elected to defend, maintain and continue to perfect socialism, not destroy it,” said Raúl Castro upon beginning his second term in February 2013. Cuban successors mentioned include Miguel Díaz-Canel, one of five first vice presidents, a 55-year-old engineer and former Minister of Education. He grew up under Fidel and Raúl’s tutelage as an obedient and disciplined Marxist. A protégé of José Ramón Machado Ventura, a hardline Communist, Díaz-Canel mirrors the ideological rigidity of his mentor. Raúl has many sons, including Alejandro Castro Espín, a colonel in Cuba’s intelligence apparatus. Aguilera thinks the intelligence network is the country’s most successful asset. “He [Fidel Castro] selects people as an image of himself. They talk like him, they think like him. They act like him… They are disguised as pro-Westerners, they are very relaxed people, they can present themselves in any possible way. But deep inside they were selected,” said Aguilera when discussing possible successors to Raúl Castro. 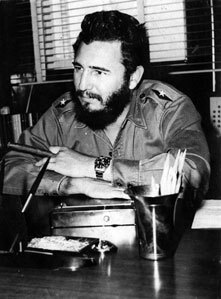 Fidel Castro circa 1960s with his trademark cigar. Photo: The Cuban Heritage Collection, University of Miami Libraries, Coral Gables, Florida. Control is the means by which the Castro government has kept its people united. As part of the ideology of revolution a basic tenet is that the people cannot be too rich or knowledgeable. Aguilera lived his first 32 years in Cuba and did not leave until 1995. His mother still lives there and is a revered fighter in the revolution and a staunch Communist. He is highly educated — a medical doctor with a master’s in biochemistry. Our paths crossed through mutual friends. He has lived in Montreal since leaving Cuba, now an author and writer, Aguilera is well known in Spanish literary circles. He attended school through college and then received his graduate degree in Cuba. The Cuban government does provide free education and health care to its citizens as part of its socialist society. According to Aguilera, the Cuban government has no interest in improving the way of life of the Cuban people. He was taught about Lenin’s theory of the revolution and how to maintain power. “When people live in extreme poverty, they do not have time or energy to go beyond their everyday life of survival. At the same time, those living conditions cannot be too good or relaxed, as when people live well they do not have any interest whatsoever in making a revolution. The revolution only happens in that narrow area in which people live badly enough to complain and have enough wealth to get organized. The problem with Lenin’s theory is while being a manual to reach power; it is also a clear explanation of what to do in order to then protect it. That is why every time a Communist organization reaches power, it starts closing all those democratic spaces — considered as weaknesses — they exploited in order to obtain that power. For them, the most important of those spaces is, of course, the living conditions of the people. They always manage to create a state of poverty and scarcity in which the revolution can never happen,” said Aguilera. To some, Obama’s Dec. 17 announcement (“D17”) seemed to signal the beginning of a great Cuban Gold Rush. That there is some opportunity is undeniable, but what exactly awaits U.S. business? In seeking to answer that question, it is important to keep four things in mind: 1) Cuba is a poor nation that has implemented only limited economic reforms; 2) there already is significant trade with Cuba; 3) Congress, not the president, holds the key to future American investment; and 4) many have discovered there is a dark, dangerous side to doing business there. In reforming its economy Cuba does not appear likely to follow the path of China and Vietnam, Communist nations that have embraced capitalism to a significant degree. The Cuban government instead is promoting the transformation of some state enterprises into cooperatives. Call it private ownership, socialist-style. The state no longer runs the enterprise, but the new private venture is collectively owned and, in theory at least, democratically operated. This has worked reasonably well in Cuba’s agriculture sector, where 5,200 co-ops employ about 600,000 people. Legislation passed in 2012 sought to bring the co-op concept to urban areas, but despite a government pledge to create 10,000 new co-ops by 2017 (starting with the restaurant sector), only 500 have been approved so far. Valle de Viñales, Cuba. 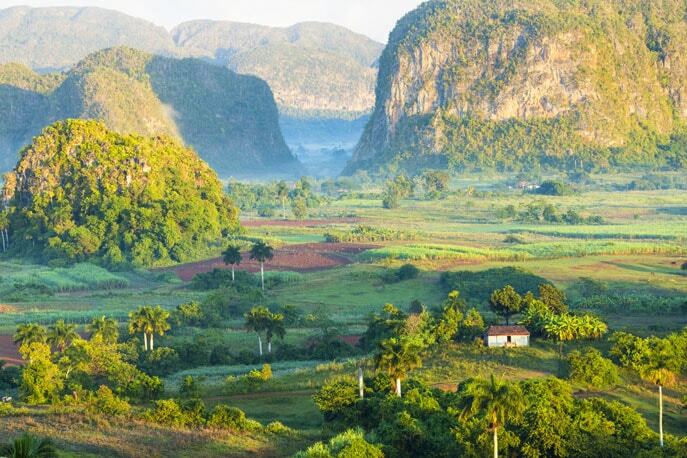 This lush area in Pinar del Río Province in Western Cuba is where tobacco and other crops are cultivated on the bottom of the valley, mostly by traditional agriculture methods. The majestic cliffs are called mogotes. The result of the transition to date has been a widening gap between those who work in the quasi-private sector and state employees. The latter group is paid in regular Cuban pesos, not the dollar equivalent convertible pesos (CUCs), face food shortages and still must rely heavily on the various state subsidies. Those paid with CUCs have enhanced buying power, creating an under-motivated state work force. The Cuban government has been trying to raise salaries for state workers but that has put a heavy burden on a budget already running a significant deficit. There have even been visits by Cuban entrepreneurs to the Greater Miami Chamber of Commerce as reported in the Miami Herald, part of an entrepreneurial exchange organized by the Cuba Study Group — an organization that favors increased engagement with Cuba. And while the entrepreneurial class is growing, there are concerns about the nascent middle class and what this will mean for a growing economy in terms of income disparity. So as we look at the whys and why now comes a key piece of the puzzle. It has been widely reported that one of the reasons Obama took this action is his legacy. A consistent stumbling block in U.S. relations with some of its Latin American neighbors is the ongoing Cuban embargo. Every year since 1992, the United Nations votes on a resolution to condemn the embargo — only two countries vote against it: the United States and Israel. Even critics of the rapprochement, understand the intent of the embargo has not worked. If anything it has added to the machismo of Fidel Castro and his government that they survived without the United States all these years. And the economic sanctions did not bring about regime change. However, while Obama has gone out on a limb with his political opponents and his presidency, if the Cuban government continues on its path of arrogance and unreasonable demands — they could very possibly cause Obama to walk away. Right out of the gate, the Cuban government asked for the end of the economic embargo and reparations as a result estimated to be in the hundreds of millions (last year it was reported to be $1.1 trillion) and the return of the U.S. naval base at Guantanamo Bay. It has been reported after the fourth round of U.S.-Cuba talks on May 21 that diplomatic access in Havana by the U.S. embassy remains a sticking point. “I do remain an optimist but I am also a realist about 54 years that we have to overcome,” said Roberta Jacobson, the chief U.S. negotiator. 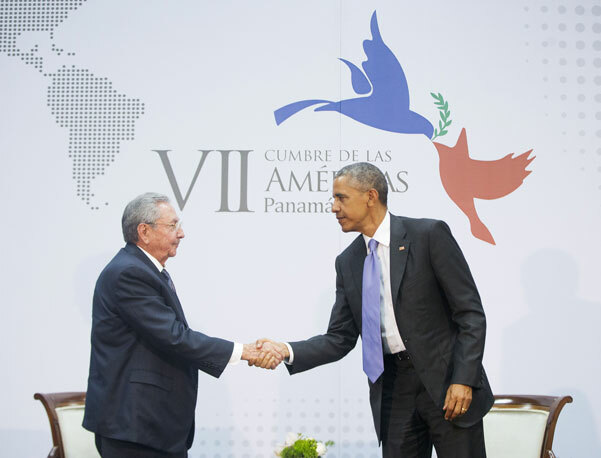 The historic handshake between U.S. President Barack Obama and Cuban President Raúl Castro at the Summit of the Americas in Panama City, Panama, on April 11, 2015. Photo: AP/Pablo Martinez Monsivais. The U.S. enjoys freedom of movement in Russia, China and Vietnam. The Cuban government does not want diplomats talking to dissidents, which Castro recently called an “illegal” infringement on Cuba’s sovereignty. A part of the diplomatic snafu is the training of journalists, which has also become an issue. The U.S. Interests Section in Havana has offered classes in journalism, English and how to use the Internet. Cuba tightly controls its state-owned media and according to Reuters, blocks websites from independent journalists. Obama took action and removed Cuba from the U.S. list of state sponsors of terror, which took effect on May 29. Given the official definition of state-sponsored terrorism, this was not too difficult a task for the administration. Though Cuba still seeks to export socialism, it no longer engages in the same type of activities as, say, Iran. But, as the president himself acknowledges, it will take Congress to fully open trade with Cuba. In 1996, President Clinton signed into law the Helms-Burton Act, which not only wrote into statute many of the embargo policies the U.S. had been employing since the early 1960s, it also established a series of penalties for foreign companies that defied the U.S. embargo. Almost no one in Washington thinks the current Congress is likely to repeal Helms-Burton. And while many American companies are engaging, many of the bigger players will not consider Cuba, until the embargo is lifted. That doesn’t mean there will be no trade with Cuba. In 2000 Congress passed legislation allowing some limited trade with Cuba, primarily sales of American agricultural products and medical supplies. Cuba did not engage in trade (having turned down food aid in the past) until buying food from the U.S. in the aftermath of Hurricane Michelle in November 2001. However, there was a catch: Cuba could not buy on credit. All sales had to be in cash. Last year, the U.S. exported slightly less than $300 million worth of goods to the island and was on pace through the first quarter to do the same in 2015. This is down from 2008, when the U.S. sold a record (for the Castro era) $788 million in goods to Cuba but that year’s sales gives a pretty good indication of the upper limit of trade with Cuba as long as Helms-Burton remains law. The Cuban government does not want people to know it is not a risky investment. Following the “D17” announcement, the U.S. did relax some export rules, allowing telecom equipment, construction materials to help the aging infrastructure and products to help private entrepreneurs. In addition the import of some products by the new self-employed entrepreneurs known as cuentapropistas is allowed. In late May, Stonegate Bank, headquartered in Pompano Beach, Fla., officially became Cuba’s bank in the United States. The bank will handle the government’s financial transactions for its future embassy in Washington. “We hope this is the initial step to normalize banking ties between the two countries, which will benefit American companies wanting to do business in Cuba, as well as the Cuban people,” said Dave Seleski, president and CEO of Stonegate in a company statement. 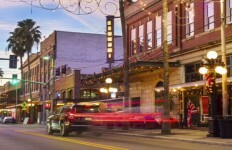 Founded in 2005 in Fort Lauderdale, the company operates a network of 22 branches with assets of $2.26 billion at the end of March. And while on the subject of money, Cuba does have a long history of trade deficits due to its dependence on food imports and low productivity. As a result of its many defaults, it has a low credit score. In April 2014, Moody’s downgraded Cuba’s credit rating to Caa2, a very high risk. However this past January, Moody’s rated Cuba again Caa2, but with a stable outlook given the easing of U.S. restrictions. Cuba has been courting foreign investment for many years now. On April 16, 2014, Cuba published its new law on foreign investment (LFI) in the Official Gazette of the Republic of Cuba. The LFI replaces Law 77, enacted in 1995, with a more detailed act intended to attract foreign capital with tax and other incentives and guarantees. The number being reported is $2.5 billion Cuba hopes to attract in FDI. However, the details in the LFI confirm the government’s central role in controlling and approving all foreign investment opportunities. Meanwhile on the other side of the island sat Cy Tokmakjian in prison. A successful businessman, he had spent more than 20 years doing business in Cuba where he sold transportation, mining and construction equipment. He was even photographed with Fidel Castro accepting a business award. His privately held Concord, Ontario-based Tokmakjian Group did an estimated $80 million in annual business in Cuba. They were instrumental in supplying crucial equipment during a severe economic crisis after the collapse of the Soviet Union. 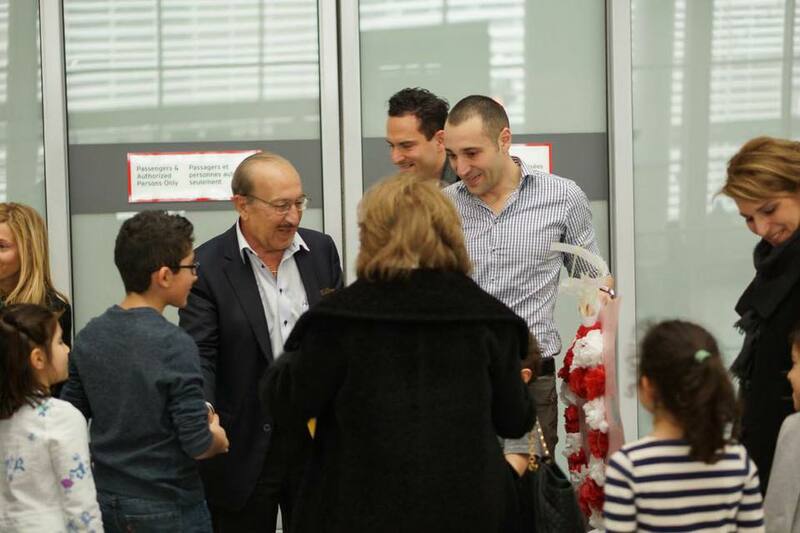 Cy Tokmakjian reunites with his family after a long court struggle with the Cuban government. Photo: Free Cy Tokmakjian/ Facebook. Ironically, his son Raffi was there in 2011 speaking to a group of Canadian businesses about how to conduct business in Cuba, three days later his father was taken in on orders from Raúl Castro. The charge was bribery. For the first two and a half years, Tokmakjian was not charged. In late September 2014 in what his family referred to as a show trial, he was sentenced to 15 years in prison. Peter Kent, a member of the Canadian Parliament, visited him in Cuba and was quoted in the Canadian press, “Not very nice conditions for a 74-year-old man among criminals, rapists and so forth.” At one point Tokmakjian was imprisoned in one room with 47 other men. 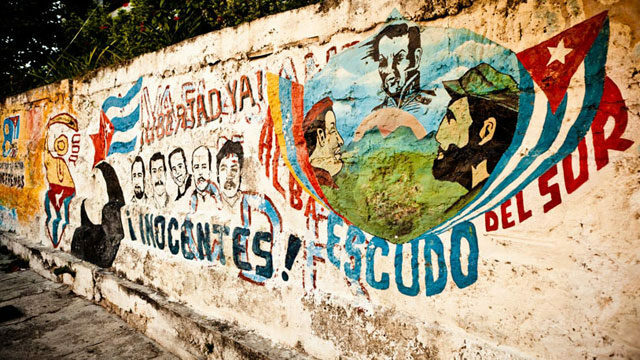 Out of 18 witnesses the defense wanted to testify, the Cuban court allowed only four. The company said it had audited financial records, Cuban legal experts and Canadian officials. “We did not have a trial by any standard. Cy was not afforded the opportunity to refute what they have accused him of,” said Hacker. His family said that Tokmakjian could have been released earlier but he would not admit to wrong doing and vowed to fight to clear his name. 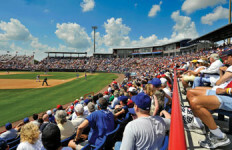 There has been a spike in Cuban migration to South Florida following the “D17” announcement. Between January and March, 2,701 Cubans arrived in South Florida, according to the Customs and Border Protections statistics. That figure is up 212 percent year over year. A fear in a change in the Cuban Adjustment Act (wet-foot, dry-foot) may be a factor. During the first two weeks of May, 185 Cuban migrants either landed in South Florida or were intercepted and turned away. Pictured is a makeshift raft. 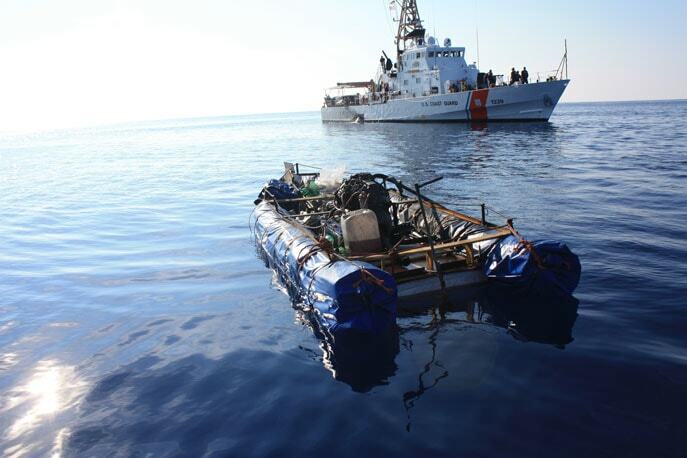 Photo: U.S. Coast Guard. “His ordeal is a cautionary tale to any investor who thinks the Cuban playing field is level,” said Kent. Ultimately Cuba confiscated $100 million of the company’s assets and he was released in February 2015. Tokmakjian was far from alone. Businessmen from France, Britain and Mexico were imprisoned and money confiscated. Another Canadian, Sarkis Yacoubian of Canada’s Tri-Star Caribbean, was also convicted and sent home after all his assets were seized. “Canada sends over 1 million tourists to Cuba. If you know the risk why do business there? … Keep a close eye on the situation and know your facts — know your real facts,” warns Tokmakjian’s son, Raffi. According to legal scholars, the laws may be written in certain ways and interpreted differently by functionaries on any given day. And that leads to our last discussion point, uncertainty. Aguilera is extremely articulate on this term and what it means to him as a Cuban. When I asked him about potential risk doing business with Cuba, he said that “risk” was the wrong word. Businesspeople deal with risk and it is inherent in business. “Risk has a probability that is known, for example slot machines in a casino. The opposite is uncertainty. Uncertainty the probability is unknown — uncharted. And I think that what the Cuban government is trying to do is turn an uncertain situation into a risk situation. If you want to advise investors, don’t talk to them about risk because they know about risk. Their job is to take risk, the higher the risk, the more potential money, low exposure risk, etc. 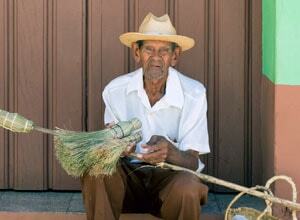 Taken in May 2014, a broom vendor seated at the door of a house in Trinidad, Cuba, located in the Sancti Spíritus Province in Central Cuba. “The Cuban government does not want people to know it is not a risky investment. It is an uncertain investment — there is no probability of anything because the government conducts itself arbitrarily. One day we had a Farmer’s Market, one day you woke up and it was closed and there was no food in Havana. You can wake up in the morning and be brought to jail and you don’t know why. “There is no written way of pressuring the Cuban government to reconsider whatever they want to do. That doesn’t exist. They are isolated, ergo they can do whatever they want. It’s an uncertain situation, not a risky situation. “Nobody knows what will happen from one day to the next. That’s uncertainty and that’s what they don’t want people to know. There is no certainty in Cuba. It just doesn’t exist. “And the uncertainty is the only explanation why Cuban people jump into the water of the Florida Straits,” said Aguilera. The one constant about Cuba, it stirs passions. I was told that a Cuban woman tells people she is from Belize to avoid the drama of her homeland and the opinions it elicits. And something everyone can agree on is the hope for improvement in the lives of the Cuban people. We are essentially in the midst of a foreign policy science experiment, thawing a relationship that has been on ice since 1959. Ice melts too quickly and creates problems. Everyone must work in whatever capacity to ensure the Cuban people are helped. The problem is how to best accomplish this? It is concerning that since the “D17” announcement, the level of attempted migration from the island has more than doubled. And people continue to die trying to leave. There needs to be a balance and all parties must compromise. There is so much at stake. The lives of the Cuban people most of all. Too many people would not go on the record with us out of fear, including a South Florida pastor who recently returned from a mission there. A Cuban pastor he visited was being closely watched by the government and taxed more due to his growing congregation. He was worried about him. At press time, Forward Florida received an update about the Cuban pastor referenced above. Pastor Amado Ramirez Oliveros of Maranatha First Baptist Church in Holguín, Cuba, got word out through a written statement asking for help because his 800-member church was confiscated by the government in May. View his statement here.